Gruppo TecnoFerrari S.p.A., renewing its internal processes, has decided to launch an absolute novelty for the companies of Sassuolo ceramic district. In fact, during next Tecnargilla 2018 exhibition, in addition to numerous technical innovations, Gruppo TecnoFerrari will present the Supplier Portal. 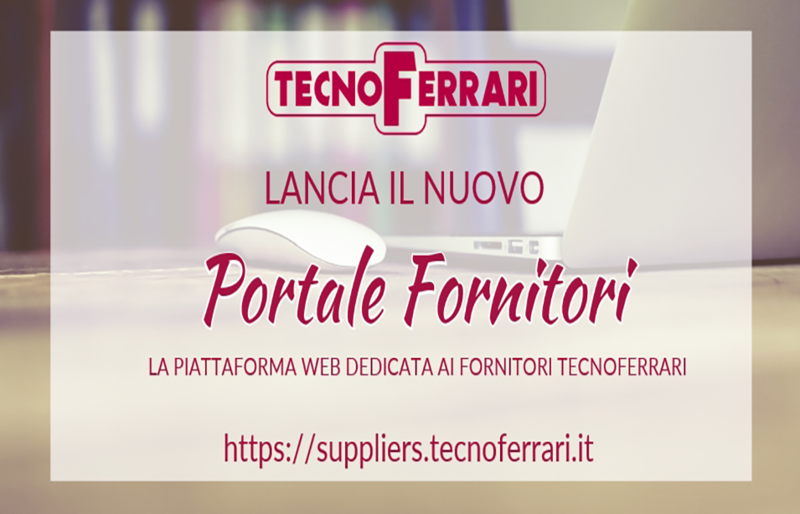 The Portal is the favored tool which every usual or potential supplier can start, manage and maintain commercial relations with Gruppo TecnoFerrari. Self-introduction is the first step for a future business collaboration. Accessing to the portal, the supplier can fill in the information form with the possibility of creating his own profile, indicating activities, company’s dimensional and financial data, commercial references. Our internal evaluating team, will check the supplier profile, matching it with main requirements. Overcoming of the following qualification process, the supplier will be registered into vendor list of Gruppo TecnoFerrari.